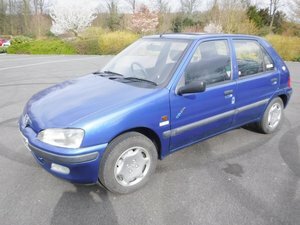 This Peugeot 106 Dimma originally started life as a Peugeot 106 Quiksilver but after approx 13000 miles the owner decided he wanted to build the very best 106 Dimma possible. 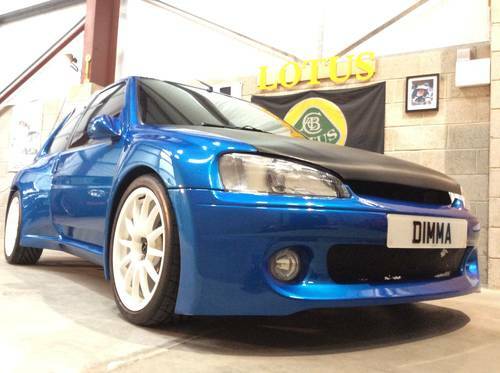 The decision was then made to purchase a genuine Dimma bodykit at great expense and have it fitted by Ecosse but as he wanted the very best Dimma possible, he also asked Ecosse to purchase a brand new rolling chassis/shell direct from Peugeot as there was to be no compromise on quality. 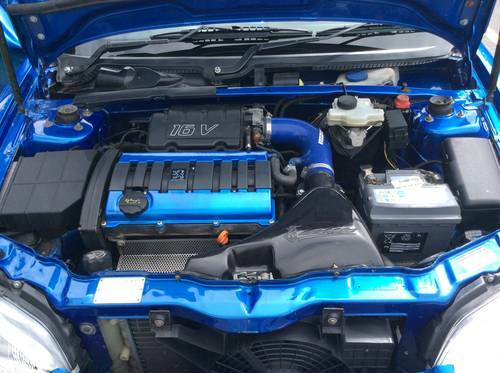 The bodykit was professionally fitted and painted and a upgraded Saxo VTS engine with Ecosse forced air induction kit was fitted at the same time. This car also has devil exhaust system with a super sprint 421 stainless steel manifold fitted June 2016. 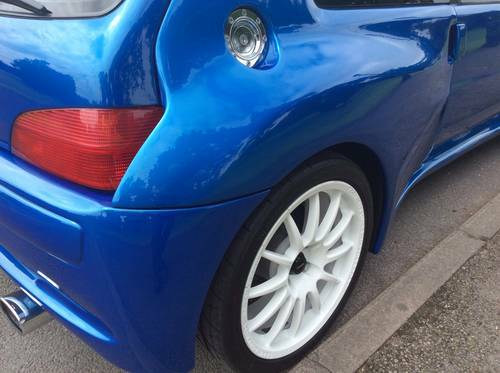 18 inch white Motorsport alloy wheels, lowered and uprated suspension, short shift gear stick with uprated link rods and 306 GTI brakes on the front and 106 GTI brakes on the rear are a few of the cars modifications. 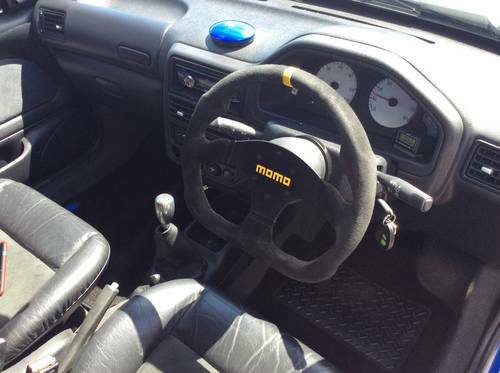 The interior as been upgraded to a full GTI spec black/grey leather with alcantara centres, Momo steering wheel, upgraded stereo, speakers and an active sub under the passenger seat. 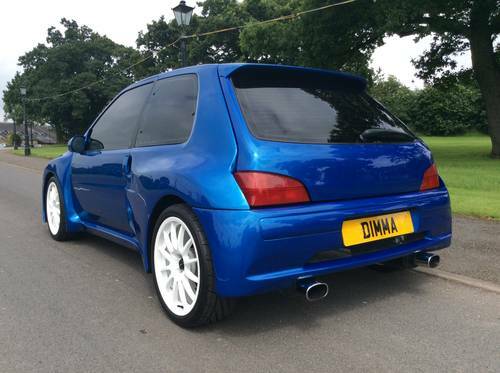 Flushed tailgate, de-badged bonnet, new headlights, tints, DTM door mirrors and much more. 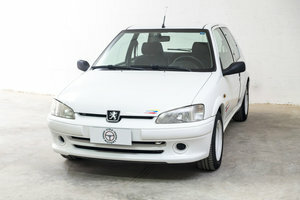 The car had been in dry storage for 12 years before we took ownership of it and is in amazing condition for its years. We have all fallen in love with the little 106 here at Cherished Luxuries, hence the continued investment of time and money into performance and visual upgrades as Mark from Cherished Luxuries has been running this as his own weekend toy for the past 12 months. This is a real head turner of a car and a seriously fun car to drive! Sounds fantastic with the 421 Super Sprint stainless steel manifold, pops for fun and makes you smile. it’s a great tight car that feels like new. We’ve given this car the nickname “Pugron” what with its Peugeot body and Citroen engine – Once you see and hear the car in real life you will fall in love with it as we have. 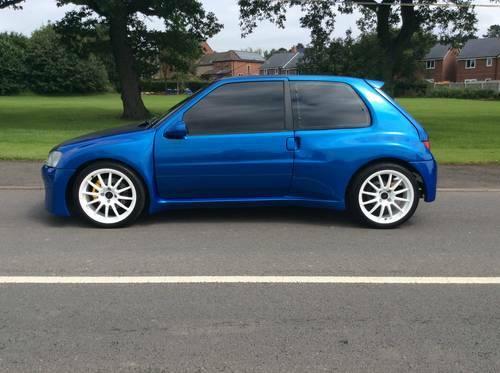 A real unique vehicle that has been much loved and is ready for a serious collector of 90’s hot hatch’s. 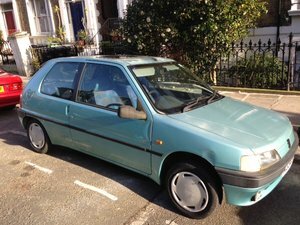 The Dimma’s are getting harder and harder to find now but to find a Peugeot 106 Dimma in this condition with essentially only 4000 miles covered since the build makes it a one of a kind car. The car in general has covered only 4000 miles, the shell/chassis and bodykit etc were brand new for this build, the only parts that have covered 17000 miles are things that were transfered from the old shell like the speedo, headliner, carpet, wishbones, wiring loom etc. This car looks as good underneath as it does on the outside, it is certainly a head turner that will be bought by the 1st serious viewer. 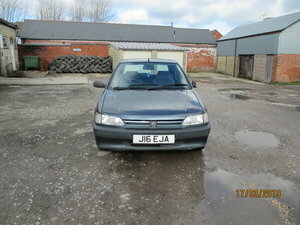 The car will be prepped, detailed and come with a full 12 months MOT ready to drive away. In good mechanical condition. Long MOT. Low Mileage. Great fun runaround. Call 07956187528. Number below incorrect.